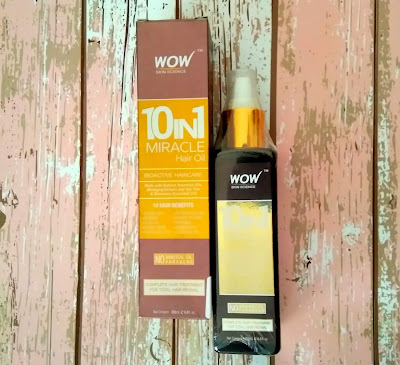 Today I would be reviewing a product which itself say it is a Miracle Product. 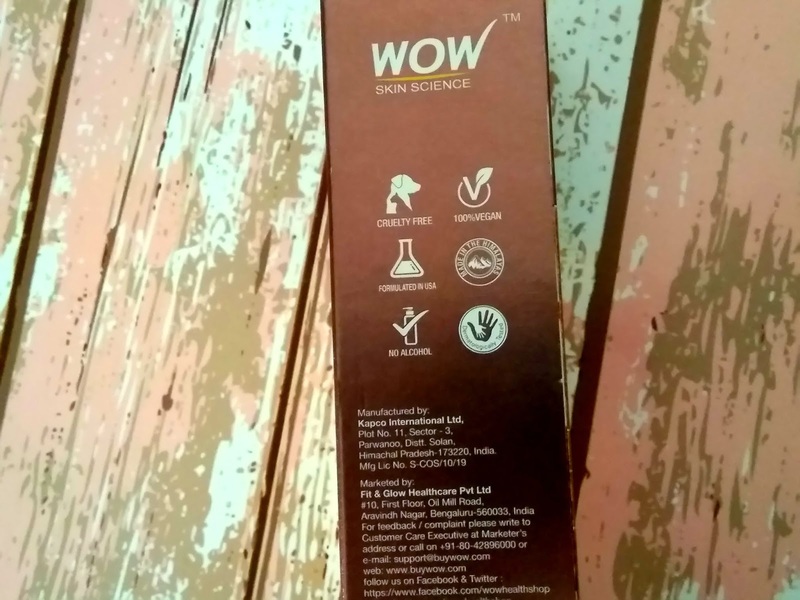 The product I am talking about is a hair oil from a Brand 'WOW Skin Science'. It says it a complete hair treatment for total hair revival. I have been using this hair oil from almost 7-8 months now and I have to agree it does work!! Comes in a very good quality bottle with a pump dispenser. Retails for Rs 599/- for 200 ml. Smells like a proper Ayurvedic oil without any artificial fragrance. But it is not annoying at all. 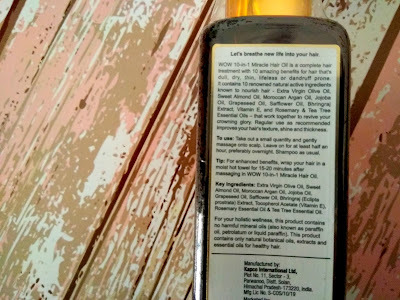 First things first, The main reason I was attracted towards this hair oil is its amazing ingredients list. I love to use essential oils in my skin and hair care routine and this oil contains some of my personal favorite essential oils like Rosemary and Tea Tree oil. Besides that, it has all the Oils and Ingredients that are meant for having a healthy hair and beneficial in hair growth & other hair issues. 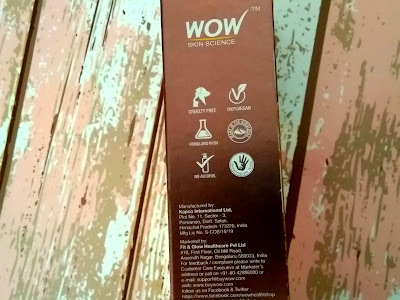 I would highly recommend this hair oil from 'WOW', if you are looking for some nice Ayurvedic hair oil. 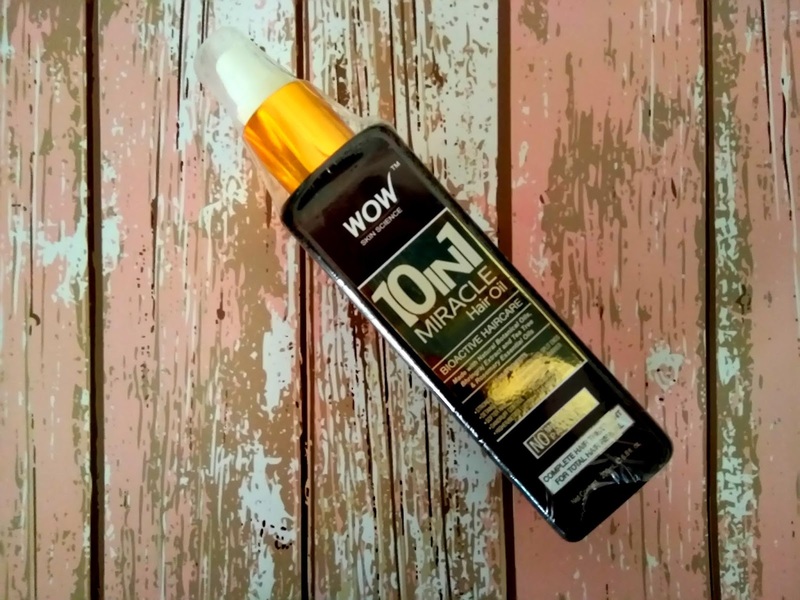 It has helped me to grow my hairs more longer and also it has helped me in treating my dandruff problem. This oil is suitable for both males and females. Everyone in my family uses it. 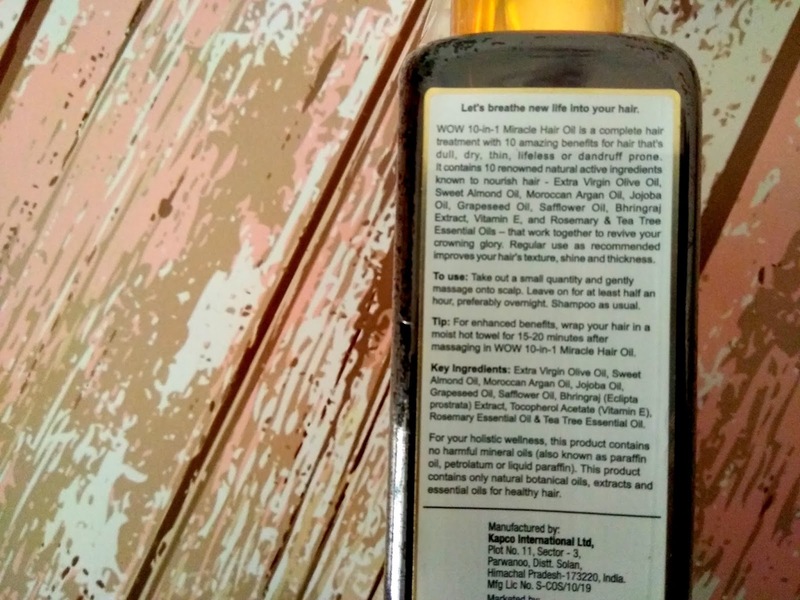 It has Bhringraj extract which is very good to promote hair growth and Vitamin E, Argan and Olive oil are great to nourish hairs and make them more healthy and soft. The texture is little bit thick but nothing that cannot be managed. It gets absorbed in couple of minuted of massage. It has an old school kind of Ayurvedic scent to it. I have not faced any kind of irritation with it, but if you have a super sensitive nose and you like your products to be totally fragrance free, then it can be a little strong for you. It is best to apply it overnight but if not possible then you can also apply it at least half an hour before you go for your head bath. One of the best things also include its packaging. It has a pump dispenser.Not many hair oil bottles come with a pump dispenser. It makes it super comfortable and handy to use. It is just less messy this way!!! No risk of pouring too much and spilling. Overall I have nothing negative to say about this product. Totally satisfied with the results and would surely like to recommend. It will surely help in hair issues like hair fall, dandruff, split ends, dryness etc. I would suggest using it before hair wash and not after hair wash since it can be little heavy for that. 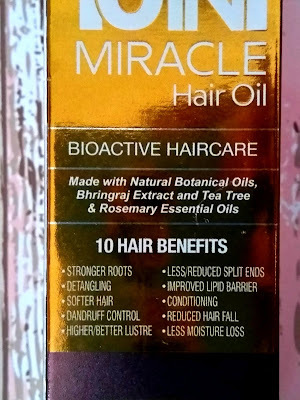 This hair oil is great way to condition your hairs. I jzt want to get rid of my dandruff first.... wil it surely get rid off....?